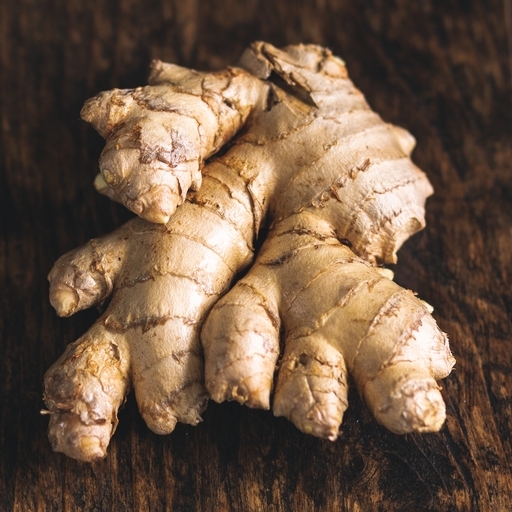 Our ultra-fiery organic ginger adds a warming kick to sweet and savoury dishes. Slice thinly for Asian-style stir-fries, curries and marinades, grate over veg before roasting, use for festive gingerbread, or take the restorative route of adding it to invigorating fresh juices or teas. Ginger is often added to curries, stews or soups, grated or cut up finely. Dried ginger can be used to flavour biscuits and cakes. Place in a plastic bag and keep in the fridge or freeze. We import ginger all year round.